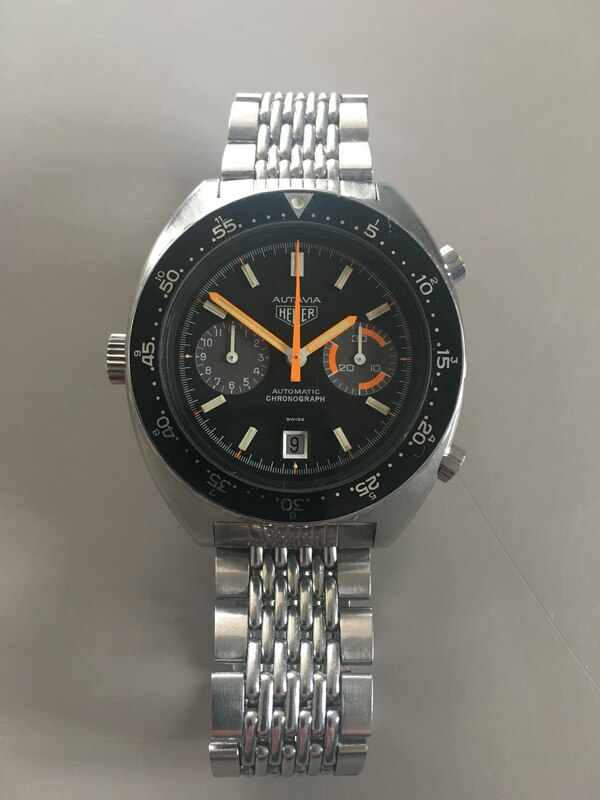 For sale is very nice orange Heuer Autavia 11630. Vibrant orange dial which has kept all of its color! Bezel is in very nice condition. Bracelet is a GF one (with a replaced connecting part) with correct HLF endlinks. Strong case. Original crown and pushers. Serviced in 2009 but not worn much since. Everything works as it should. Asking: EUR 5.500. Watch and me are in the Netherlands. No trades please. More pictures on demand (I will send you a dropbox link).